The Company’s Investor Relations program adheres to strict transparency and disclosure rules as well as investor communication and financial reporting standards, in line with global best practices in corporate governance. The Company is committed to the highest standards of disclosure, transparency and fairness in information dissemination to the business and investment community and all its shareholders. The Company provides the public with strategic, operating and financial information through adequate and timely disclosures to the regulatory bodies, such as the Philippines’ Securities and Exchange Commission (SEC) and the Philippine Stock Exchange (PSE). 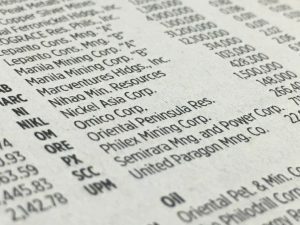 In 2016, the Company produced 41 structured disclosures to the PSE, which included regular monthly reports, Press Releases and financial reports through the SEC Forms 17-Q and 17-A. In addition, the Company also developed 52 unstructured disclosures, mostly in the form of Material Transactions and Clarification of News Items, among others. accomplishes and submits interim and annual reports normally before the deadline prescribed by the regulatory agencies. The Company’s financial statements comply with the Philippine Accounting Standards (PAS) and the Philippine Financial Reporting Standards (PFRS), which are in general compliance with International Accounting Standards. The accounting policies adopted in 2016 were consistent with those of the previous financial year, except for the implementation of new and amended PFRS and Philippine interpretations of International Financial Reporting Interpretations Committee (IFRIC). The changes in Accounting Policies are fully explained in the Notes to the Audited Consolidated Financial Statements. The Company develops award-winning Annual and Sustainability Reports to disclose to the investing public and all stakeholders the Company’s initiatives towards economic, environmental, social and corporate governance (EESG) reporting. 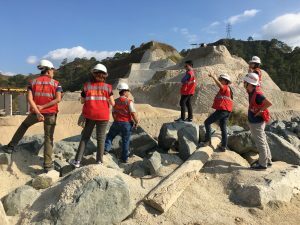 the Social Development and Management Program (SDMP) campaign, which showcases stakeholder development, particularly of the host and neighboring communities, indigenous peoples (IP) and employees, through projects that were undertaken in the areas of operation. 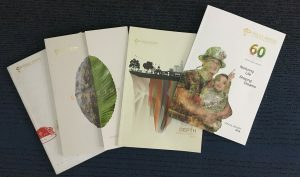 both a Gold Anvil Award and a Silver Award in the Mercom Annual Report Competition (ARC) International Awards. The 2015 Annual Sustainability Report, meanwhile, received a Gold Anvil Award. market analysts through pre-arranged company visits, site tours, and teleconferences. The Company, upon invitation, attends local and international investor conferences, corporate days and non-deal roadshows, to expand the Company’s investor base and coverage. The Investor Relations desk likewise directly communicates with these investors through one on-one meetings, calls and written communications. via teleconferences to be more convenient and easily accessible to both local and foreign analysts. In 2016, the Company held five (5) Analysts Briefings, via teleconferencing. The Company strictly adheres to the guidelines covering securities dealings to promote fairness and comply with existing government regulations. Changes in personal shareholdings of directors and key officers of the Company, resulting from open market transactions or the grant of shares from incentive-based schemes implemented by the Company, are reported to the SEC and PSE using the prescribed formats and within the specified deadlines. The blackout period begins thirty (30) calendar days prior to the disclosure of the Annual Financial Results until two full trading days thereafter. For the quarterly results, the blackout period begins fifteen (15) calendar days before the release of the structured disclosure until two (2) full trading days after the date of the disclosure. Shown below is the schedule of release of the Company’s interim and full year results for the calendar year 2016. In cases of non-structured disclosures of other material information, employees in possession of price sensitive information are reminded not to trade in the Company’s sh ares from the time they come into possession of any material information and up to two (2) full trading days after the information is disclosed to the public. The blackout period for employees not previously privy to such material information shall commence on the date the information is disclosed and until two full trading days from such disclosure. Reminders on these guidelines are provided periodically. PMC consistently enforces a policy encompassing share transactions, in compliance with existing government laws against insider trading. In 2016, there was no case of insider trading involving Company directors or management. Danny Y. Yu, the Company’s CFO and Senior Vice President for Finance, is also the Compliance Officer designated to ensure adherence with best practices as well as compliance with all regulations that cover the Company. Rolando S. Bondoy, who is the Head for Investor Relations and Corporate Governance, is the Deputy Compliance Officer. We look forward to hear from you and will be very glad to assist you.